In Wisconsin, Alicia Beltran, 14 weeks pregnant, went for a prenatal check up to make sure that everything was going to be well. She explained to the PA in her doctor’s office her concerns. One was a pill addiction that she had actually ended a year earlier. Instead of addressing her concerns, her doctor’s office betrayed her trust and the celebrated code of confidentiality between patients and doctors, supposedly the basis of medical practice. They called the police. Two days later, the police came to Beltran’s home and shackled her. She was rushed to court handcuffed and shackled, where she was denied access to a counsel but where a lawyer was already assigned to represent her fetus. Then, she was ordered into a drug treatment program although there was no trace of drug in her body, although she was taking care of herself, although she had trusted her doctor and society to respect her as a person. For Beltran, the consequences of this abusive treatment are dire. They include losing her job. In fact, the state has endangered her health, the health of her fetus, her social status and the well being of her family, current and future. Wisconsin is one of 38 states, including Maryland, that has passed so-called feticide laws. Three states – Wisconsin, Minnesota, South Dakota – have passed “cocaine mom” laws, and that’s what happened to Alicia Beltran. Finally, the first federal lawsuit to challenge these laws has been filed by The National Advocates For Pregnant Women, the Reproductive Justice Clinic of New York University School of Law, and Linda S. Vanden Heuvel, Alicia Beltran’s lawyer. This threat to pregnant women has been on the rise as more women are thrown behind bars. The lawsuit is the first to challenge these laws that are threatening women for being less than the fetus they carry, especially when they are women of color and/or poor, in brief socially vulnerable. Last year, a bill was introduced in committee in the Maryland legislature. If passed, the bill would have put into law a ban on shackling pregnant inmates. Surprisingly, or not, the bill was defeated. These practices of shackling pregnant women serve two purposes. They render women as less than human and they “de-womanize” society. Last year, Maryland repealed the death penalty. 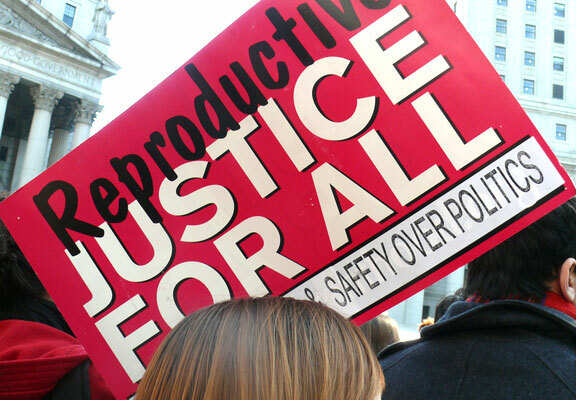 It is time for Maryland, and all states, to show real commitment to women’s rights and women’s equality. Hopefully, Alicia Beltran’s case will set a precedent. Whatever comes out of the suit, we should not forget that feticide laws were presented to protect pregnant women. In reality, by creating the fetus as a full person separated from the woman’s body, feticide laws have one purpose: to reduce, and ultimately eliminate, Roe v Wade and its guarantees of women’s right to decide for themselves. External control of a woman’s body is an assault on the dream and the possibilities of a society with more equality, better distribution of wealth, and richer harmony. We need to support all and any efforts to “de-shackle” women. When I first read this, I felt that this was justified. I was outraged by the suffering those women had to go through, and I was relieved that there was a way to punish him by taking his life as he had denied them of their own lives for so long. But then I realized my initial reaction went against everything I believed in, and I was appalled. I have always been adamantly against the death penalty. How can we strive for a just and humane society if our response is to kill criminals? And the argument the prosecutor is using to have him face the death penalty is that he “committed aggravated murder” of unborn fetuses. Looking back, I think that what caused my initial reaction was fear. Fear that this kind of atrocity can happen. Just knowing that these women had been sequestered and tortured, I felt that this could have been me; it was a direct attack on my person as a woman. And I wanted them to take his life away. I was suddenly going to trust the American justice system to decide who can live and who must die. After all, doesn’t he incarnate evil for beating up his daughters’ mother and for abusing women? What I should be afraid of is the precedent the prosecutor will set if Ariel Castro gets the death penalty. 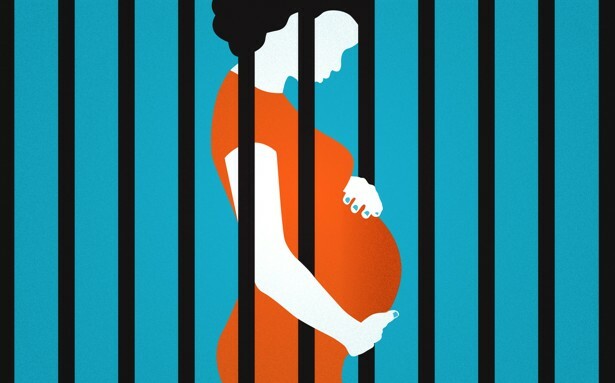 Pregnant women are already being imprisoned throughout the country for `endangering the lives’ of their fetuses. If the precedent is set, will women be in danger of facing the death penalty for having an abortion or a miscarriage? At the same time, Ariel Castro getting the death penalty sees the abuse of the three women through only one lens, that of their fecundity and womanhood. Why is it that the daily suffering, threats, violence, rapes, trauma, and inhumanity those women were subjected to are not seen as being more important than those unborn fetuses? The violence and abuse they went through is normalized, the press is shocked but not outraged. Instead, the biggest crime was to prevent the birth of those children. Our understanding of this unfathomable tragedy is constructed around this country’s politics on women’s reproductive rights and the personhood debate instead of seeing it as another example of dehumanized violence. Why can’t we give these women more respect by focusing on their survival? Instead of focusing on their bodies as reproductive vehicles, why can’t we focus on them as women whose spirits enabled them to live and survive? We need to be more careful and not let our emotions control the way we understand the media construction around such events, no matter how nightmarish they might be. As women, we are vulnerable to neoliberal policies, such as feticide laws, that aim to control our bodies. As citizens, we should question a society that still resorts to the death penalty. For the past week, the phrases fetal homicide and death penalty have been covering up the news nationally and worldwide and they are part of the neoliberal agenda to instill fear in all of us and to reiterate our vulnerability in the face of evil, embodied by Ariel Castro this week. But we need to remember that, just like all of us, Ariel Castro is a member of this society. He does not incarnate evil; he embodies the violence and misogyny of our society.